Our Finance Minister Arun Jaitley has presented the Union Budget 2017-18 in the Lok Sabha. 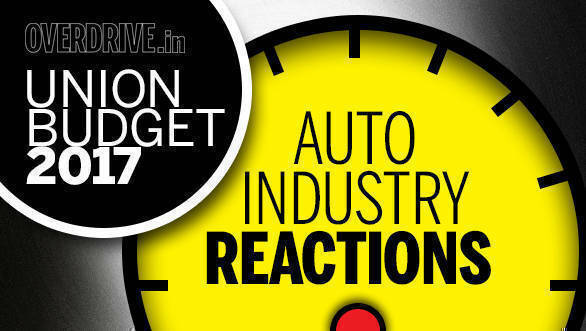 Earlier, automobile manufacturers in our country had stated their expectations from the Union Budget. This time, here's a round-up of the reactions from the automobile industry. This budget is a great effort of the government towards consolidation. On the one hand, they have combined railways and general budget and on the other, GST will consolidate indirect tax structure. In my view, the Union Budget puts forward the key objectives of the government, i.e. accelerating growth, infrastructure, digital economy, agriculture and better governance. Focus on harnessing potential of positive Indian demographics through skill India programme is likely to increase employment opportunities for the youth. Some of the concerns of domestic transfer pricing being addressed is a welcome step. There is an intent to promote SMEs by reducing tax rates, though corporates were expecting a tax rate cut all across. A broader tax base and improved compliance will help augment tax revenues. Overall, the budget is good with focus to revival of economic growth through fiscal discipline, focus on job creation and skill development. However, expectation of reduction in corporate tax rates was not met. 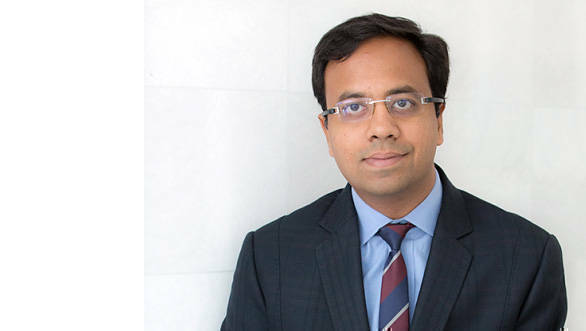 - Ajay Seth, CFO, Maruti Suzuki India Ltd. The Union Budget 2017 agenda on transform, reform and energise is a positive approach towards growth, with a clear focus on rural sector, increased spends on infrastructure development, and improve road construction for better last-mile connectivity across India. 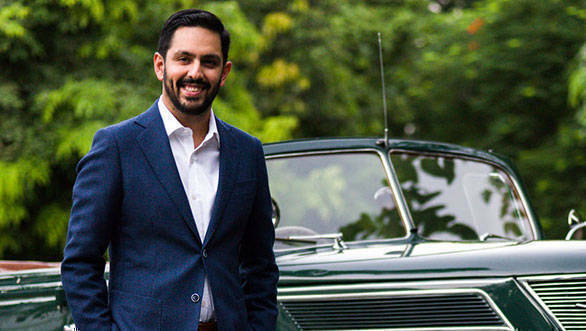 The income tax rate cut from 10 per cent to 5 per cent for individual tax payers earning under Rs 5 lakh per annum will create a positive sentiment among likely first-time buyers for entry-level and small cars. However, there is nothing substantial for R&D for automotive industry, EV and hybrid vehicles, which is a dampener. We look forward to the implementation of GST for the automotive sector in the months to come to offer the much-needed stimulus to the auto industry and encourage buyer sentiment and consumer confidence. Considering the unfavourable environment for the auto industry on the whole due to demonetisation, we had all pine highest ever hope with the Union Budget. The good news for the sector is that the GST will go as scheduled as the government has taken two tectonic policy initiatives - passage of GST Bill and demonetisation. GST implementation is positive for the auto sector on the whole. We are certain that positive sentiments will be restored as it bears good tidings for Electric Vehicle industry and the sector overall. The Union Budget measures to incentivise and promote infrastructure augurs well for the economy and the auto sector. The focus on boosting of rural demand is also encouraging. While it was anticipated that there won't be any major changes in existing indirect taxes in this budget in view of impending GST implementation, any measures to promote green technology would have given customers more options of environment-friendly vehicles. Budget 2017 presented today by hon'ble finance minister has firm thrust on rural and agro-economy through farm credit, rural infrastructure, poverty alleviation, road construction and direct taxation benefits. With almost 50 per cent of two-wheeler demand coming from rural and semi-urban India, the budget should have a positive impact for the industry going forward. 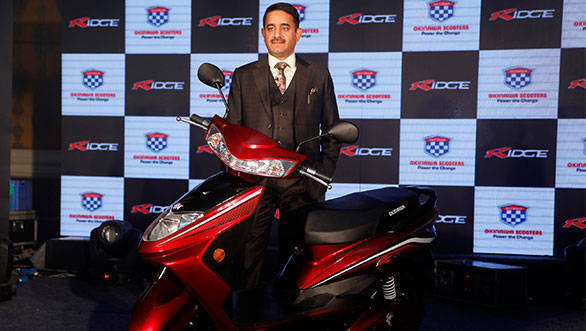 - Yadvinder Singh Guleria, senior vice president, sales and marketing, Honda Motorcycle and Scooter India Pvt. Ltd.
Budget 2017-18 has laid greater emphasis on rural population, the underprivileged, infrastructure development and digital economy. India has been viewed as one of the most unequal societies in terms of economic growth and distribution of income. This budget tries to narrow the gap between rural and urban India. By allocating a greater amount to transportation, airports and highways, the focus will be greater on infrastructural development. This will help the auto sector's growth during the long term. The total allocation for rural, agricultural and allied sectors is Rs 1,87,223 crore, up 24 per cent from last year, which is hugely positive. The finance minister has hailed the clearance of GST-related constitutional amendment bill and implementation of demonetisation as tectonic policy initiatives. 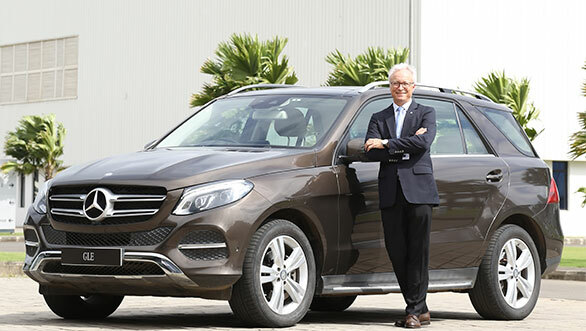 Even though no major indirect tax-related changes have been made in the budget on account of the ensuing GST regime, Mercedes-Benz is hopeful that the government will take necessary steps to spur the growth of the luxury car industry, and help bring down the price of luxury cars. We hope GST will help recover the momentum that the auto industry in general, and luxury car industry in particular, lost in 2016. The premium motorcycle segment has grown over the last few years. Riding culture, for the most part, depends on beautiful places to go and smooth roads that get one there. Transport infrastructure plays a pivotal role in the growth of the economy and we appreciate the government's decision to further develop this infrastructure in India and enhance road safety. Be that as it may, Ducati also manufactures adventure and enduro style motorcycles that don't require sophisticated transport infrastructure. We are already working with leading adventure tour operators and we hope to promote motorcycle tourism in particular which should fit well into the government's renewed efforts in this budget to promote tourism in general. 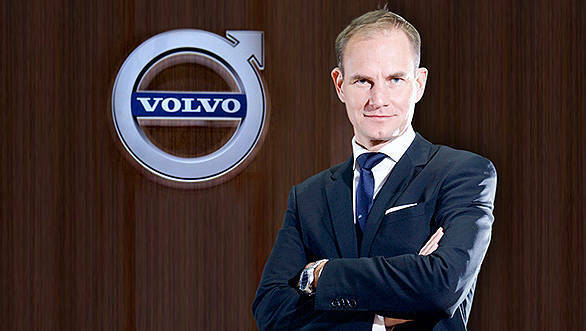 It has a lot of positives for the automotive industry. 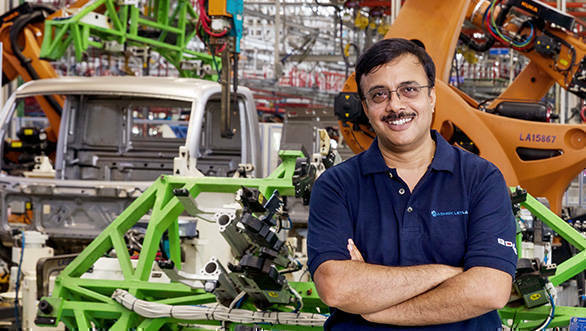 SIAM expects the growth in auto industry to rebound to the pre-demonetisation level through revival of the rural market and substantial increase in expenditure on infrastructure, which are two key factors responsible for the recent growth of the industry. The decrease in corporate tax rate for MSME will give relief to the Tier-2 and Tier-3 automobile component manufacturers and help them make investment for future expansion. Also, the reduction in personal income tax at the lower level will cheer the market and improve sentiments, boosting personal consumption expenditure, which should be helpful in enhancing demand for two-wheelers and small passenger vehicles. 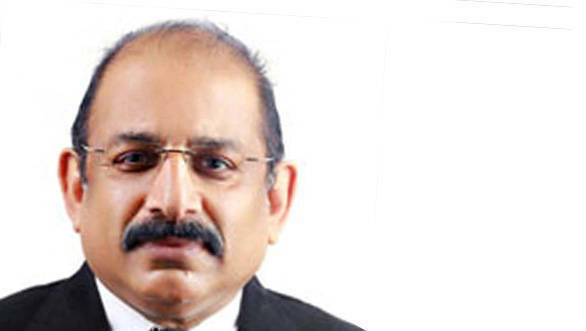 However, automobile sale depends on bank finance and there is an urgent need for recapitalisation of banks, which cannot be adequately addressed with only Rs 10,000 budgetary support. Moreover, there was a genuine case for continuation of 200 per cent weighted deduction on research and development expenses, which remained unacknowledged in budget proposals. I'm satisfied that Rs 175 crore has been allocated towards funding of the electric and hybrid vehicle programme, through FAME scheme. I thank the ministry of finance for addressing one of the key concerns of SIAM regarding the payment of TCS on sale of motor vehicles of the value exceeding Rs 10 lakh to a public-sector company which is engaged in the business of carrying passengers. I also welcome the correction of an anomaly in CNG vehicles falling under tariff heading 8702, that surfaced due to amendment to Central Excise Tariff Act in 2016, whereby the tariff sub headings for petrol/CNG run buses were changed due to which inadvertently the excise duty on these buses got increased from 12.5 per cent to 27 per cent. However, the issue of 10-13 seater small buses, falling under heading 8702, which continues to attract 27 per cent excise duty due to a separate classification for such vehicles, has remained unaddressed. The budget allocation on infrastructure development will create investments, generate employment and enhance mobility across the country. Further income tax concessions to MSME and lower personal income tax will enable affordability of cars for entry-level buyers. In addition, we are keenly looking to the early introduction of GST for simplification of tax structure to bring more clarity to spur overall economic growth. 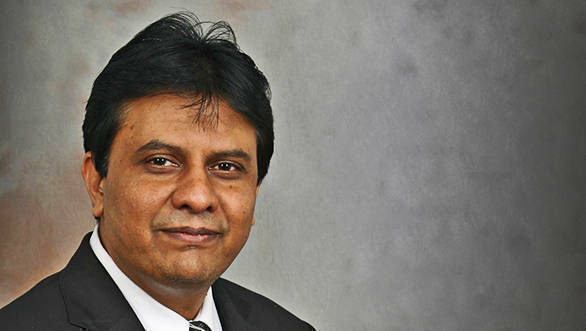 - Rakesh Srivastava, senior vice president, sales and marketing, Hyundai Motor India Ltd. The government has succeeded in ensuring that the Indian economy is buoyant despite the prevailing uncertain environment and global headwinds. Control over fiscal and revenue deficit are encouraging and the clear focus on rural development, thrust on infrastructure and poverty alleviation while keeping fiscal prudence is in the right direction. The agricultural credit at 10 lakh crore is one of the biggest wins which will provide the necessary impetus to the rural economy. As the Indian economy moves from good to great, there was an expectation for a more aggressive budget to enable this transformation. The 10 fold increase of skill centers will increase availability of skilled work force across industry segments. However, for job creation, there was expectation of pro-business policy for the manufacturing sector including the automobile industry which is one of the key pillars of the economy. Having said that, there are some linkages that the automobile industry can benefit from, led by the focus on infrastructure development, including that on rural road development which will lead to faster and more effective mobility solutions. Also, synergistic investments in rail, road and river will ease supply chain operations and will benefit logistic heavy segments like the automotive industry and hopefully bring down logistics costs. The boost to National Highways, coastal connectivity, and ports is another step to bolster last mile connectivity for manufacturing sector and will also aid exports. Another positive is the abolition of FIPB, which is a great step in the direction of ease of doing business and making India investor friendly, hopefully attracting more FDIs. 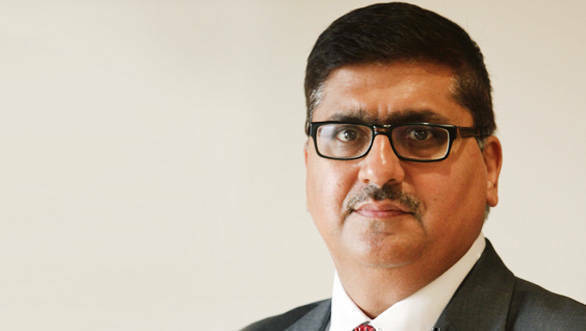 One of the focal decisions that the automotive sector was looking forward to from this budget was the GST roll-out, and how different vehicle categories will be taxed. Another area which deserved attention was the vehicle scrappage policy. A clear roadmap on these policies would have given a boost to the industry. Although the budget didn't have much for the automobile sector, we are hopeful for some pro-business policies on a continual basis to benefit the industry. The Union Budget 2017 falls short of our expectations in that we, in auto retail business, were anticipating slew of measures, including higher depreciation rates for motor vehicles and incentives for scrapping of old vehicles. These measures will have not only given boost to the struggling auto market but will also have had a significant positive impact on environment and road safety due to renewal of vehicle parc and modernisation of road transport fleet. We were also expecting an announcement for reduction in transaction charges payable by merchants in case of payments received through credit cards, which would have gone a long way in promoting the widespread use of credit cards and less-cash economy. However, outlay of Rs 2.41 lakh crore for the transport sector, including 1.31 lakh crore for the railways and Rs 64,900 crore for the highways development, provision of Rs 10 lakh crore for agri credit, and higher allocation of Rs 1,87,223 crore for the rural sector, including provision of Rs 48,000 crore for the MNREGA, sops for the affordable housing, and a small reduction in personal income tax are some of the positive measures which will indirectly benefit the auto market. We hope, the Union Finance Minister will consider our suggestions for increased depreciation for motor vehicles and incentives for scrapping the polluting and unsafe old vehicles before the Finance Bill is passed by the Lok Sabha. From a macro point of view, the budget presented by the finance minister is a growth-oriented one with special focus on rural, agriculture and infra sectors. Nearly Rs 4 lakh crore has been apportioned for investment on infrastructure of which Rs 2.5 lakh crore is on transportation alone. If executed well, this has the potential to provide a serious push to the economy and the auto sector. Significantly reduced tax rates for small taxpayers of income up to Rs 5 lakh, as also some reduction in corporate tax for the MSME sector will provide demand impetus. However, one area that India Inc. was really looking forward to was reduction in the corporate tax rate as promised by the FM in his budget speech two years ago, but there is no mention of it, which is a matter of concern. Talking specifically about the tyre sector, we were immensely hopeful that the inverted duty on rubber will be addressed in this budget in view of the government's avowed move to increase value addition within the country. However, it is indeed disappointing and a matter of continuing concern that natural rubber again doesn't find mention amongst the items on which duty inversion has been corrected. 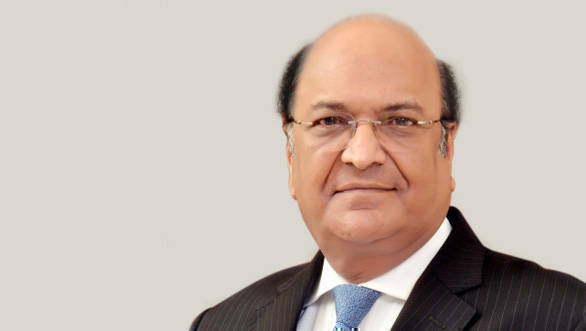 - Dr Raghupati Singhania, chairman and MD, JK Tyre & Industries Ltd. The budget was growth centric with focus on infrastructure and affordable housing. Reduction in individual tax rates in Rs 2.5-5 lakh category should boost passenger vehicle demand. However, incentives to promote fuel-efficient and alternate fuel would have benefitted the sector. While there has not been any major big bang announcement in the Budget 2017, there have been some progressive small steps. Cutting down the income tax rate to 5 per cent for individuals having income between Rs 2.5-5 lakh puts more money into the hands of salary earning people at the lowest rung of the income tax bracket. This is a welcome step. So is the slashing of corporate tax on small- and medium-scale companies, which will serve to strengthen this sector. 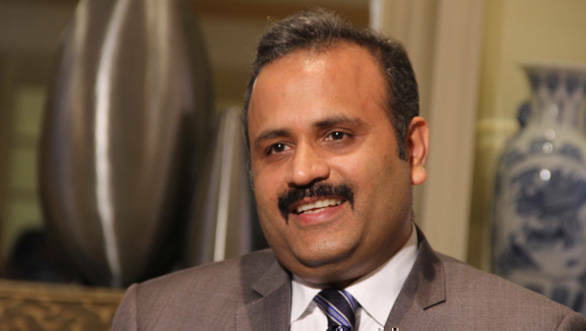 The Union Budget is positive for the overall industry as well as the lubricants segment. Focused on the infrastructure sector, the budget is expected to benefit us since we expect increase in product requirement over the months ahead. The focus on infrastructure and construction related activities shall require huge number of M&HCVs and construction machinery which will benefit the lubricant segment. The government's record agri-credit along with support to NABARD and Micro Irrigation Fund will spur demand for agri-equipment and tractors, enhancing market size for related lubricant products. 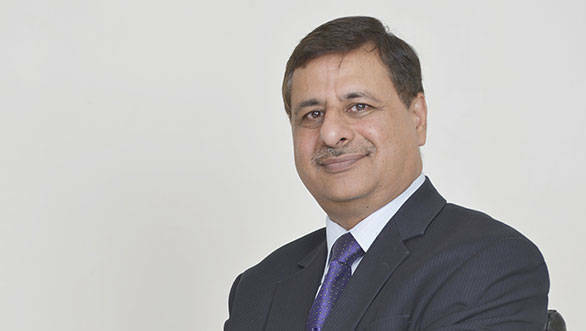 - Ravi Chawla, managing director, Gulf Oil Lubricants India Ltd. The finance minister has announced a prudent budget with focus on infrastructure, employment and digitisation. While reduction in interest rates has already given an impetus to the consumption cycle, lower personal income tax for income up to Rs 5 lakh will put more money in the hands of the common man. Also, airports and air connectivity in smaller towns will further boost economic activities. With measures to stimulate growth, promote the digital economy and provide relief to middle class through affordable housing, this budget ticks all the right boxes. 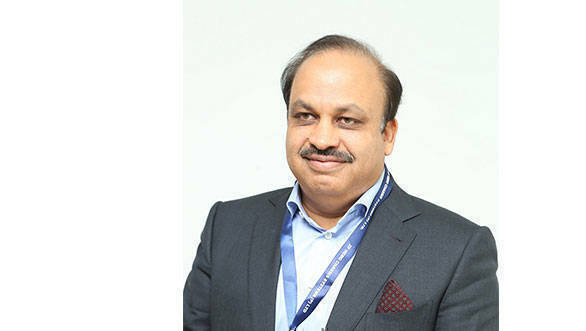 - PS Choudhary, head, sales and marketing, LML Ltd. The budget was more or less as per my expectation, as it focused mainly on infrastructure growth like roads, sanitation, affordable housing etc. It also focuses on implementation of recent demonetisation and digitalisation policies. The HNIs will be taxed more and the tax burden on lower-mid income will be reduced. There was also some tax relief for small businesses which I feel is a good initiative. Personally, I wished there could have been more focus on our tourism and hospitality industry as it has a much greater potential for growth and needs suitable investments. The Budget 2017 will be remembered for many aspects, including this being the first budget wherein Railways Budget got merged too. The budget has managed to press key buttons that are necessary to bolster overall development of the nation. From earthmoving and construction equipment industry's perspective, we till now witnessed that the roads and highway sector leading the growth momentum; however, to really create sustainable growth, other sectors needed attention. With this budget, the focus has broadened and now includes sectors like railways, agriculture and real estate with emphasis on affordable housing. A record investment of Rs 3,96,135 crore for infrastructure and Rs 1.31 lakh crore for railways is a big boost to the economy and a step in the right direction. Thrust on agriculture sector with credit set at Rs 10 lakh crore will aid country's all-round development. The additional liquidity in the banking system, due to demonetisation, will finally lower borrowing costs and allow increased access to credit too. Surely, the massive push in these sectors with incentives for 'Make-in-India' initiatives will lead to overall sustained growth. Broadly, the current budget will open up more avenues for further industrial proliferation and surely augurs well for the earthmoving and construction equipment industry. 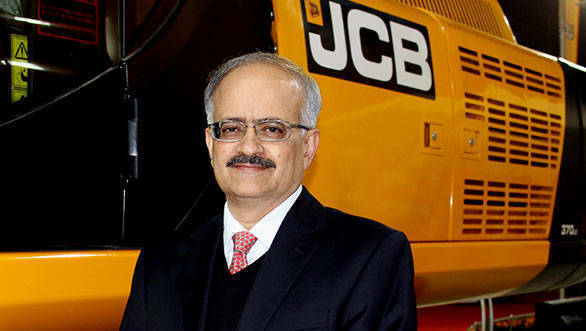 - Vipin Sondhi, MD and CEO, JCB India Ltd.
With the key aspects in 2017-18 Union Budget to transform, energise and clean India, EV industry would like to play a vital role in making India clean and pollution free. Herein, as an EV manufacturer, we would like to seek good support from the government. The government's support would help the industry to grow and attain the NEMMP 2020 target - an ambitious initiative undertaken by the Government of India that has the potential to bring about a transformational paradigm shift in the automotive and transportation industry in the country. The long-term aspiration to become a 100 per cent EV nation by 2030, the hand-in-hand support from the government is significant to take the EV industry to the desired next level. With one of the point as said during the budget - 100 per cent village electrification will be achieved by May 01, 2018, it would help people in village also to focus on moving towards to electric vehicles. With this approach to penetrate throughout the Indian consumers in all sections of the society, we look up to the government for the GST and Excise Duty exemption, subsidy in building charging infrastructure, extension of FAME scheme. The budget has a positive tone and is in the right direction ... It not only focusses on increasing domestic consumption but also incentivises local production to support the ethos of 'Make in India'. With additional investment pouring in and enhanced manufacturing activity leading to purchase of extra machinery, the need for industrial lubricants will witness sharp rise. 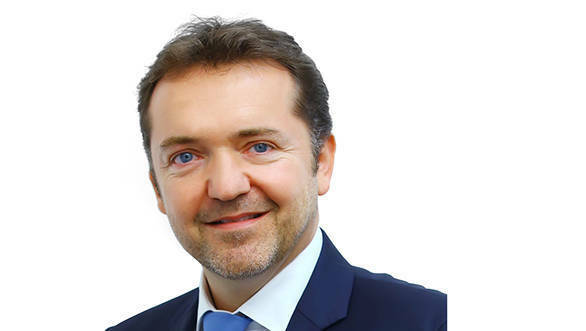 The concept of creating one gigantic oil PSU that is able to strongly compete on the highly competitive international arena is an interesting move. However, uncertainty around commodity prices, especially that of crude oil, has implications for the fiscal situation of emerging economies. Overall, no negative surprises for the lube industry, though we remain in anticipation of more clarity and the speedy implementation of GST which will have impact on the indirect taxation and supply chain.